Time for another instalment of The Artful Readers Club, This time I went back to Chick Lit and I'm so pleased I did. This book was a really good read. 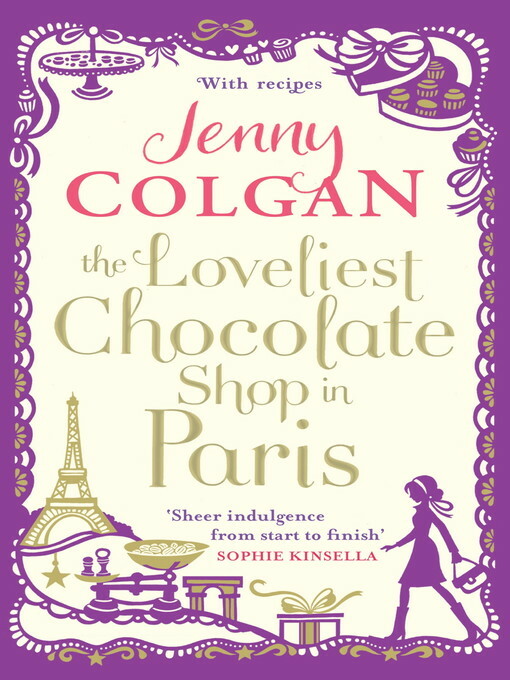 I have read most of Jenny Colgan's books and they all tend to be enjoyable and again with many books follow a tale of two people and flash back to the past. Now being honest I don't really like this style of writing and often don't read the flash back chapters. I often feel like I don't miss out on anything by doing it. However this book was different I really enjoyed the flashback chapters and wanted to know more about that side of things. The jist of it is Anna works in a UK mass manufacturing chocolate company in the UK and has an industrial accident, while she is in hospital her old French teacher who arranges for her to spend a summer in France working at a chocolate shop. The story follows Anna's struggle to fit in with the locals, speak french, make chocolate and when the shop owner falls ill she has to step in to run the shop, make the chocolate, sort out family fall outs and helps reunite old lovers. It might sound a bit soppy but it really is a lovely read. Next Month I'm planning to read a very different kind of book to what i've read before and I'm really hoping I will enjoy it. Once again no art but it's all in my head. It will make it to the page eventually!